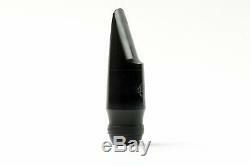 Selmer Soloist Style alto saxophone mouthpiece with an original D facing. 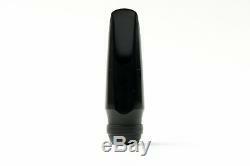 This is a 1970's era vintage Selmer mouthpiece which originally came with a Mark VI saxophone. 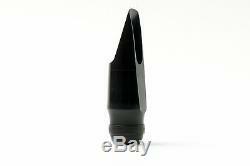 These are great playing mouthpieces. The table, tip and rails are extremely clean and even. I invite you to try this mouthpiece risk free. 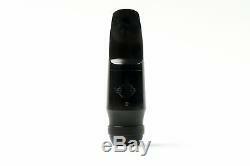 The item "Selmer Soloist Stye Scroll Shank Alto Saxophone Mouthpiece D Facing, Mark VI Era" is in sale since Saturday, October 07, 2017. This item is in the category "Musical Instruments & Gear\Wind & Woodwind\Band & Orchestral\Saxophones". 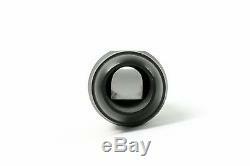 The seller is "dc_sax" and is located in Alexandria, Virginia.